Happy Birthday to EVERNIGHT TEEN! EVERNIGHT TEEN turns two this month and we’re having a huge party to celebrate! It may be EVERNIGHT TEEN’s birthday, but you get the presents. 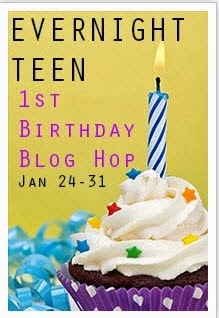 So, grab a piece of cake, hop from blog-to-blog and discover EVERNIGHT TEEN! Be sure to visit every stop on the hop and answer each question. The more you blogs you hop, the more chances to win the GRAND PRIZE of an iPad Mini sponsored by EVERNIGHT TEEN (one entry per blog). Plus, hop each blog for a host of other fabulous prizes. I love featuring strong, Hispanic protagonists in my stories. That's why I love writing about Autumn in my latest book Uncovered. What did Autumn do last year? Graduating from Seton Hill University is bittersweet. I've met the most amazing people who I know will be friends for life. The MFA program has been life changing for me-it truly helped me grow as a writer in ways that I could have never learned on my own. If you want to pursue a MFA, you have several options. You need to research what type of program you'd like to join. Literary fiction is not for me, so I knew I wanted to pursue Popular Fiction. SHU has a low residency requirement- 5 days/twice a year. 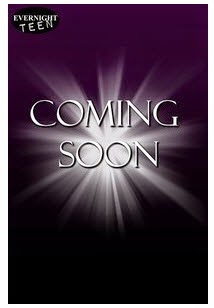 The sequel to Unraveled is scheduled for release in July 2014 by Evernight Teen. Last year sixteen-year-old Autumn solved her sister’s murder. This year, she is part of a high school forensic dream team that assists the police when teens are kidnapped. When it’s discovered the kidnappings are part of a secret online survivor game, the police and team focus on the game maker-the man behind the game. The focus of the investigation shifts when Autumn is singled out and becomes the target of the Game Maker’s sick game. Through encrypted messages hidden in steganographs, Autumn must discover who the last kidnapping victim is if she hopes to save him in time. As a Mexican-American writer, I've very proud to continue Autumn's story. She's a smart, driven Hispanic teen that wants to make her own path in life. My hope is that young Latinas will draw inspiration from Autumn. What is a Serial Killer? Where did the term serial killer originate? I went to the FBI webpage to look up some facts regarding what constitutes a serial killer. Power/Control-Want to exercise control over their victim. The power is the high they're seeking. Thanks to everyone who participated in the Evernight Teen Blog Hop. Our 1st birthday was memorable. The winner of my prize the $25 Amazon gift card is Angela Searles. Stay tuned for my new blog series called Forensics Friday. I'm a total forensics geek wanna be. If it's been available in my day as a college degree, I might be in a different profession. I love to solve puzzles, and forensics gives us the tools to solve puzzles. Before CSI, NCIS, and Criminal Minds, someone had to have the thought about how evidence could lead to the truth. I was curious about how the science of forensics came to be. This is what I found. Once upon a time in 1235 the story of Sung Tzu appears. It contained the first recorded documentation of forensic use to solve crimes. One case noted occurred during the Song Dynasty in China. A man was murdered and the local officials were looking for his killer. They determined he'd been killed by a sickle by experimenting with different weapons on animals. They asked everyone in town to produce their sickles for examination. Though it was clean, one sickle was still attracting flies due to the scent of blood. They had their killer. Perhaps scared by the evidence before him, the man confessed. Sung Tzu continued to record his findings in a book called Hsi Yuan Chi Lu (The Washing Away of Wrongs). Advances continued starting as early as the 1600s. 1880- Henry Faulds and William James Herschel published a study on fingerprints. This study was used to push for using fingerprints as evidence. 1904-Locard's famous principle is born: "Every contact leaves a trace." 1912-Victor Balthazard discovers that gun barrels have a unique property to them. Therefore, no two guns will leave the same markings on a bullet. I find this all so fascinating, if you have other major advances in mind, post them in the comments. Food plays an important role in my young adult mystery, Unraveled. Autumn spends time with her family and extended family over the dinner table. Even Caedon gets introduced to the family over a large meal. In the Hispanic community, meals are a time to gather together, talk to each other, and just spend time together. I remember lunches at my grandparent's house in Mexico. We would travel their every summer. To this day those are some of my happiest memories. Preparation for lunch started right after breakfast, and usually took the whole morning. There were several courses. One of my favorites was my grandmother's carrot soup. I still need to get the recipe from her. My grandparent's had several lime trees so we always had pitchers full of limeade to drink during our meals. They also had avocado trees, so fresh guacamole was always available. No wonder I'm such an avocado lover. Mangoes were plentiful, and were usually dessert for all of us. One of my favorite foods is called flautas. They are corn tortillas filled with shredded chicken. They are rolled up tight, then fried or baked. You can cover them in green or red sauce. I just dipped them in guacamole. You can also fill them with beef or ground beef. I often get comments from readers that reading Unraveled makes them hungry. I love that. Food plays a big part in Autumn's life so I'm happy that came across. 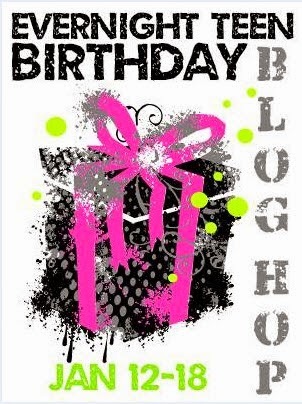 To celebrate, Evernight Teen's 1st birthday, I'm giving away a $25 gift card to Amazon. To enter my prize content, please leave a comment naming your favorite family dish. On Feb.1st, I will randomly select one winner. Be sure to include your e-mail so I can contact you.